I got the rest of my letters out yesterday to the people from Leonard Pennario's address book. Well, I have five more still to go. But I got most of them mailed. After kvetching the other day about the post office on Hertel near Elmwood I decided to go back to the very same one. I just wanted to see what would happen. Things like that are what make life exciting! Would you believe, there were no cars in the parking lot? I thought the place was closed! But it was not. I walked in and the place was empty except for the guy who had given me problems the other day. This time he was just quietly disgruntled. "Slow day today," I said. Yesterday they actually had commemoratives. They set me up with a Bob Hope stamp. That is perfect! I mean, Leonard Pennario knew Bob Hope and so, I am sure, did most of the people I was sending these letters to. 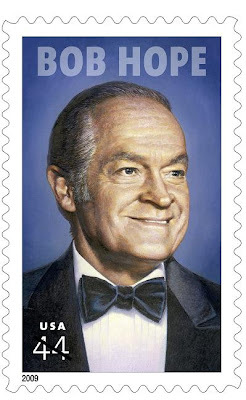 So the Bob Hope stamp was great. It crossed my mind that maybe I was taking a chance because what if they had had a fight with Bob Hope or did not like him? But then I thought no, no one fights with Bob Hope, and everyone liked him. 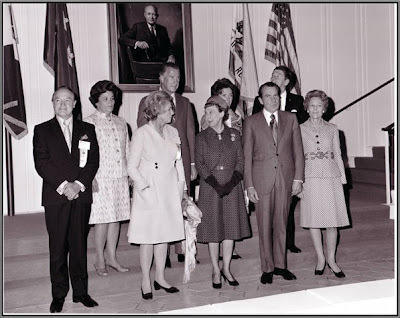 Above is a square picture I love of Bob Hope with a variety of presidents and first ladies. 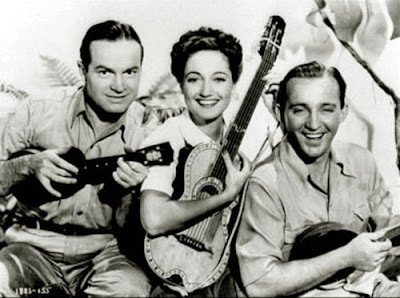 Here is a picture of Bob Hope with Dorothy Lamour and Bing Crosby. The Hope stamp is nice enough looking. Here is a picture of it. It is not to be confused with this. I do not like that poster! 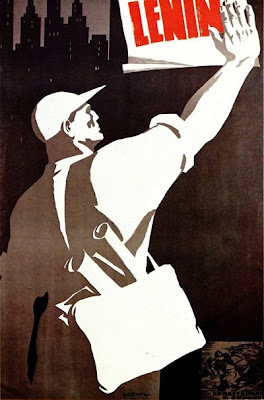 It reminds me of Soviet posters, as typified by this. Speaking of workers, I am getting no work done! The morning started out slow with me starting the coffee not realizing I had put the carafe in the dishwasher the night before. Ha, ha! Yay, me! Next we got into a fight with the Wall Street Journal because the divorced person with the noisy car who usually brings it to us under cover of night brought us USA Today instead. This seems to happen a lot especially on Fridays and usually there is no hope. There is that word again! Just now someone delivered the Journal. But they did not realize, our real complaint was not that we needed today's Journal necessarily. We wanted them to take the USA Today away! We cannot have USA Todays lying around the house. Just be sure and get those 'Hope' stamps on straight and all will be well. That is a cool picture with the presidents. I like seeing Nixon. He was so cool. Him and Kissinger are what we need today. What a pair. Henry would go over there and tell the enemy, "Hey, this guy (Nixon) is just plain crazy and you had better listen to him". Haha, they were all afraid of Nixon! ["Bombing Cambodia? What? Really?No, I don't know anything about bombs in Cambodia".] Oh yes, those were the good old days! That was hope! I'm with you, Larry. I wish Nixon was here to straighten things out. He was correct about more than just Alger Hiss being a commie. Yes, yes he was, Howard. I've gotten USA Today instead of the WSJ home-delivered once. It was a little odd. And when it comes to your new stamps, thanks for the memories.